On St. Patrick's Day, 1973 this aircraft was involved in an incident at McGuire. Details below, provided by MSgt Edward "Mad Dog" J. Loftus (Retired) (MADDOGWRI@aol.com). We were returning from Saigon on 9+ day trip, and we had some problems enroute. By the time we landed at Dover, unloaded, and refueled we had to accept a crew duty time extension. We were tired and accepted. When we called for weather at Mcguire (KWRI) we given temp and winds that indicated no problems. But after we had begun the approach we were told that the ground conditions had dropped to 400 feet and 1/2 mile we continued the approach. At approximately 120 feet we could not see the runway lights, the windshield looked like a sheet of frosted glass every time the strobes lite up. At approximately 110 feet we did not have the runway, so I called for go around we climbed not knowing that we had clipped the trees. After we landing, from the opposite end runway, a crew chief came into the Flight deck and asked me where we got the trees. 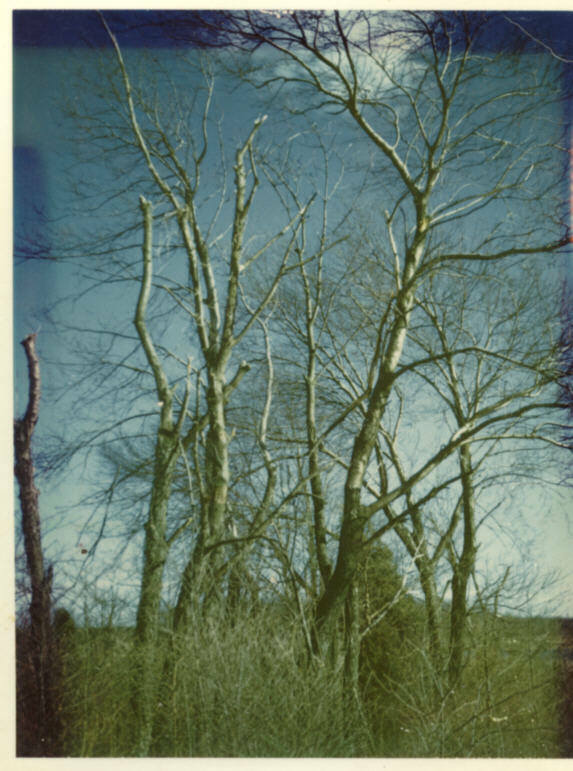 Below are photo's I took later that day after I went home I got a Polaroid and some film. Keep in mind this is from memory 29 years later, I thought I had a copy of my statement made at the time, but I am unable to find it now. On 3/24/05 I got the following additional comments from Bill Verno about the 'low approach' described above. I was the adjacent Crew Chief on 0019 on that particular night. I spotted the right wing tip of the aircraft as it taxied into position. As she turned to enter the spot, I could clearly make out a tree imbedded in her leading edge and draped over the top of the right wing. I was, to say the least, astounded at the site .............. to the degree that I questioned what I saw myself!!! At it was dark and the taxi and landing lights were on, it more or less blinded the marshaling Crew Chief's view of the wing. The left wing spotter had no knowledge as the tree was not in his field of vision. As we started to chock and pin her, I ran up to 647's Crew Chief and informed him he was in for a busy night! After looking at the unbelievable site, he bounded up the crew ladder and into the cockpit to find out what had happened to "His Plane" ...... I can't be certain, but I was under the impression that the A/C was a Colonel on this night. 647 was towed into a hanger bay later on that night and was the talk of the flight line the following morning!!! Having lived through this experience, it is certainly indelibly printed in my memory. From the very first, facts began to unfold and make me realize how close we had all come to a devastating accident. As an example, no one on the ground or in the air had known we even contacted trees for the next two hours following a missed approach, holding and another approach to a landing on the opposite runway. 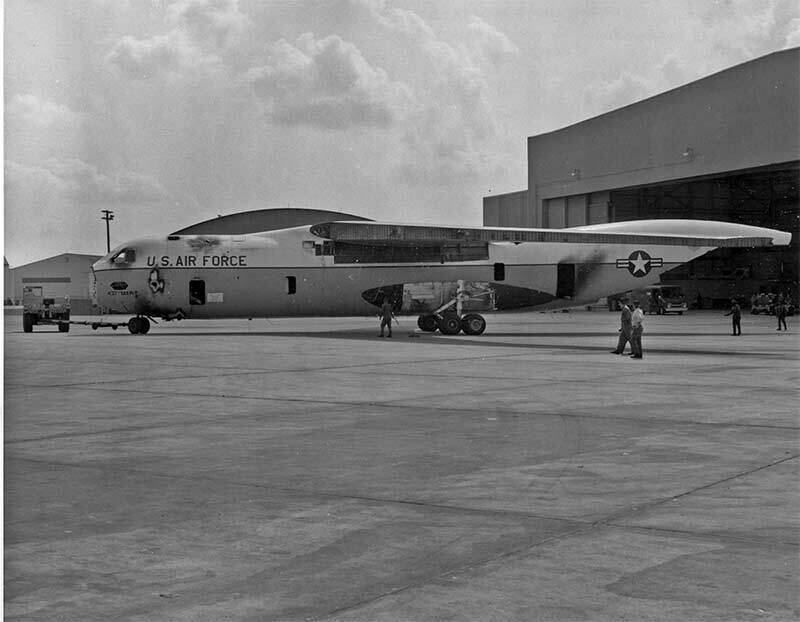 We were returning from a trip to South East Asia and approached McGuire, AFB, early on St. Patrick's Day, March 17th 1973. We had crew rested at Elmendorf and taken an en route diversion to Dover AFB to pick up some helicopter parts and a deadheading C-141 crew. I remember on Monday after the accident, the aircraft commander of that crew which had been riding in the rear of the aircraft saw me on base and asked if we had really done what he had heard about. He was incredulous. After landing, the deadheading crew had quickly exited the airplane out the left crew entrance door and boarded the bus without seeing the right wing. The aircraft commander flying on this mission was our group commander. He was strong leader and an experienced pilot, physically active, a man's man who played handball several times a week and took on all comers. He was in command! After the short trip up from Dover AFB, barely over fifty miles, we were receiving vectors for a GCA approach to runway six. The weather forecast had not changed from the weather briefing we had received at Dover. We expected a ceiling five hundred feet and visibility two miles as I recall. There were thunderstorms forecast in the area so we were anxious to complete the approach with minimum amount of vectoring. As we settled in on final approach the Precision Approach controller became a "broken record" of "on centerline--on glide path." At about 400 feet the runway was clearly visible. We continued a normal approach and moments later the controller suddenly switched from his repetitive on glide slope to "aircraft-too-low-for-safe-approach-runway-not-in-sight-go-around." At the same instant everything in the windshield turned white. I suppose we had the landing lights on at that point. When the aircraft commander hesitated, I took the aircraft, executing a very abrupt go-around. I remember thinking that I may have gotten the stick shaker during the initial go-around and days later I realized that it could have been the trees brushing the ailerons. As we climbed up a few hundred feet, the aircraft commander looked down, saw the runway and said "There's the runway, let's land." "No sir! We're going around." I was not in command but was an IP and did not think he would overrule me. I heard the navigator say something about, "I think we touched down." I thought that was an inappropriate remark as it might demean the group commander's flying skills. In reality his altimeter was right on because we later found out we had descended almost to the approach lights. I had thought I was looking down at what turned out to be a large light mounted in the center of an approach stanchion. In reality, I was probably looking straight ahead at that light with the aircraft paralleling the ground at about twenty feet and several hundred feet short of the runway. We went into holding and were soon joined by a commercial charter flight. He had not attempted a landing but was sent straight into holding. After about an hour the charter flight landed on the opposite runway. In hind sight I suppose we were shaken by the go around because I remember taking some comfort in the fact that an aircraft had landed safely before us. After parking the aircraft I was in the right seat completing paper work when the scanner tried to talk to me over the long cord on interphone. His voice was badly broken and all he could seem to get out was a broken "s-s-sir." I finally said "scanner, what's wrong." All that came back was "Sir, you better look out here at the right wing." I slid the chair forward and leaned toward the window. What I saw caused the strength to leave my legs. I sat there realizing that the one thing that I was not going to do was try to stand up. After alerting the command post over the radio and requesting flying safety to come to the aircraft I finally decided I had the strength back in my legs and went out to survey the damage. As luck would have it we were in the spot closest to the light poles so we had a clear view of the damage. Another stroke of luck was that the wing was receiving an Operational Readiness Inspection and the MAC IG team was there to view the show. The wing safety officer was disappointed in my statement since I had no idea what had happened and we had considered the flight unremarkable until we saw the damage. That was very early in the morning and the next significant event I remember was a visit to the approach control facility the next day. The OIC said that we could listen to the tape but that he could not release a copy. I made a personal recording of the tape as everyone in the squadron was anxious for the details. Interestingly I heard tower transmissions that amazed me. Two C-141s had landed earlier and I heard the tower on the tape telling them both to "Taxi with extreme caution- aircraft not visible from the tower." This made sense as we had experienced zero visibility prior to the go-around. 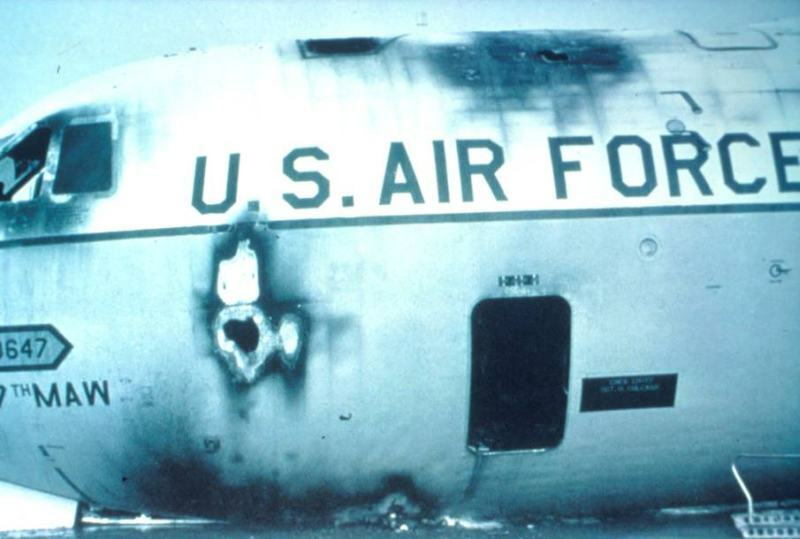 Although a full blown accident investigation was conducted by 21st Air Force, the Airlift Wing was able to classify it as an incident based on the cost of repairs. Lessons Learned. 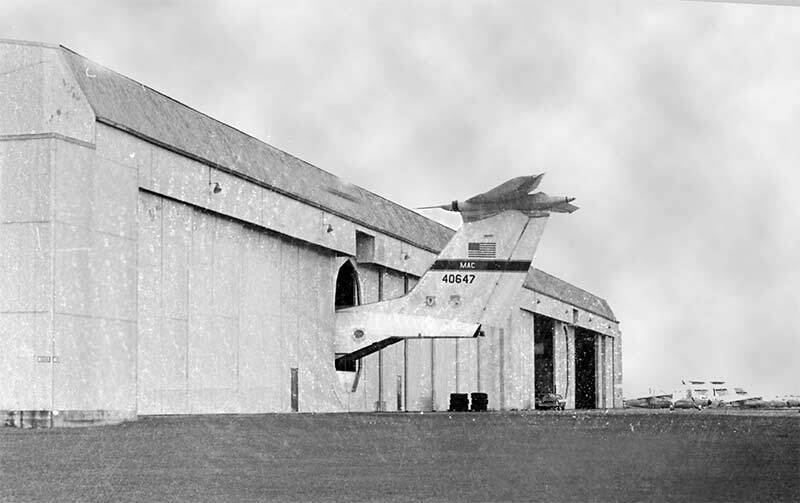 At that time the Air Force, as well as most other aviation experts knew very little about Wind Shear. 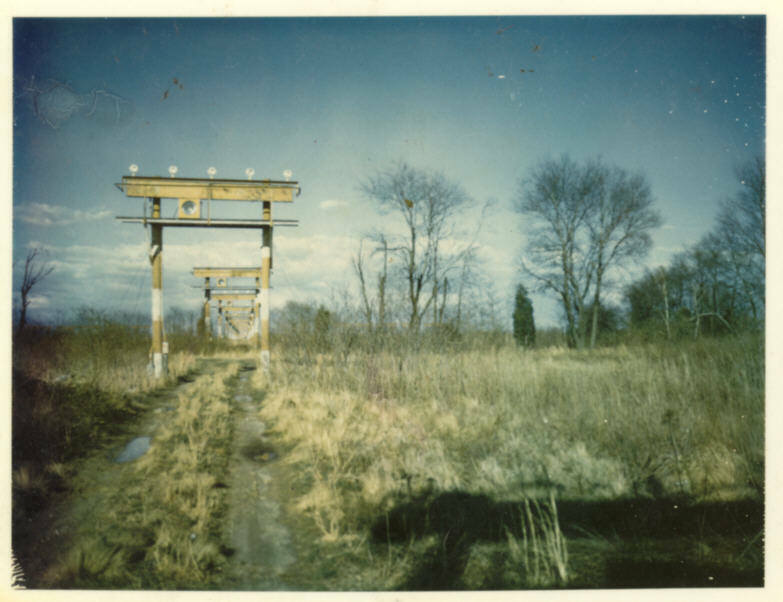 It took the Eastern 66 accident at JFK in 1975 to widen the interest in this phenomena. At that time the investigation team knew there was something called wind shear and asked questions which would make no sense at this time. Having all of the information and knowledge at hand today leads to a somewhat obvious conclusion. I continued to fly in air transportation and received extensive training in wind shear until 2003, when I retired from the FAA. The approach controller testified that our airspeed on final approach was 195 kts. He said he thought we were an F-105 which the Air Guard was flying at McGuire in 1973. 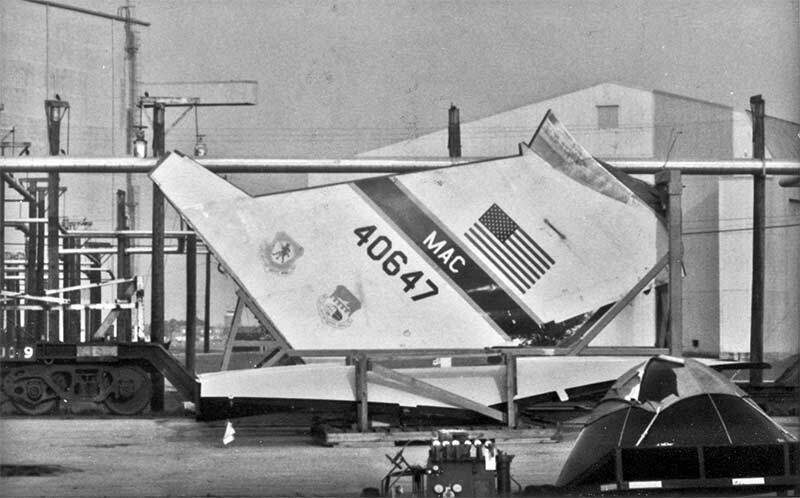 The accident board did not believe that we could have been configured at that speed even though the flight data recorder showed the flaps coming down. There was zero wind on the surface with a thick fog. Given what could have been at least a fifty knot tail wind, the pilot probably had the throttles near idle to maintain glide path. I did not have my hand on the throttles so I can not verify this theory. However, when the tail wind stopped at low altitude the aircraft would have sunk dramatically, which it indeed did, after the high speed momentum bled off. It would be wrong not to bring current knowledge of wind shear to this flight and the ensuing investigation. Although the aircraft commander has died, his flying skills were called into question. I have a quote below from a wind shear expert which would certainly have challenged opinions at the time. 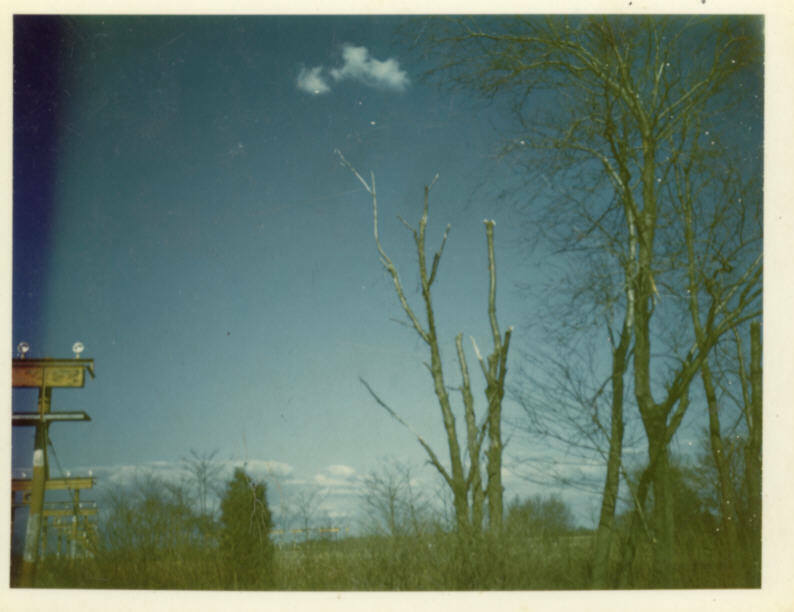 "In 1973 and before, the final cause of many accidents induced by wind shear were labeled as pilot error. 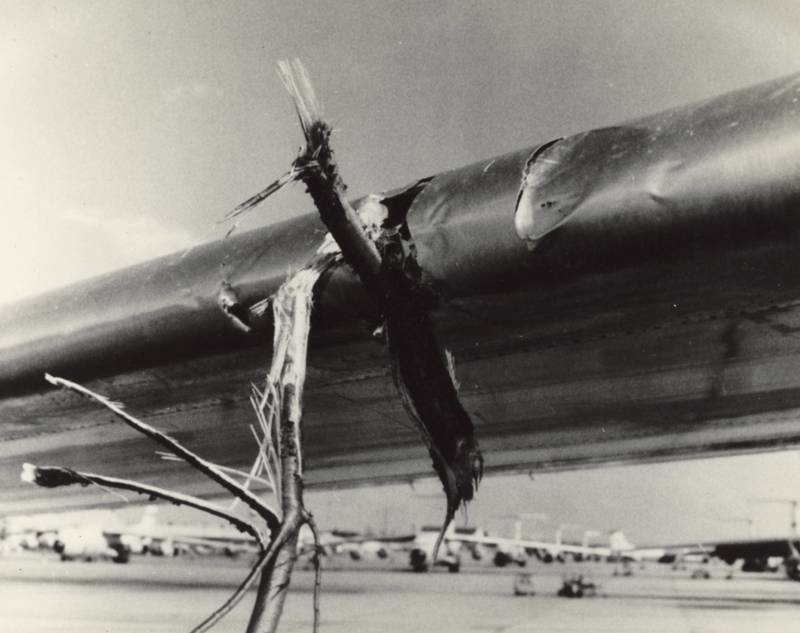 For perhaps the first time, the final report of the Eastern 66 accident stated that the wind shear condition at JFK on that day exceeded the capability of the aircraft and pilot for any possible recovery. Therefore perhaps for the first time in the history of aviation wind shear was listed as the cause of the accident vice pilot error." 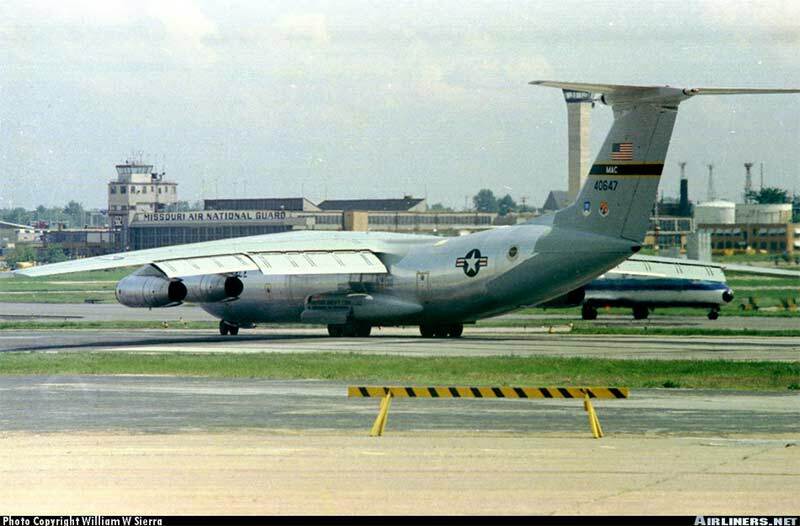 I was reminiscing about an incident back in the 70�s when a C-141 I was deadheading in back to McGuire AFB as a passenger got so low on approach that it took the tops off some (not very tall) New Jersey pineland trees. At this point, it seems almost like a dream in a way. Today I was searching around to see if there were any records of the incident, and I came across the C141-Heaven site. Amazingly, there I found a recounting of the story. In those days, I was a C-141 aircraft commander, captain, based at McGuire, and we had dropped our plane at Dover and were hitching a ride to get home. In John Attebury�s comments, second paragraph, I am the aircraft commander who saw him at the base the Monday following the accident, when I was at the squadron turning in my paperwork for my own recently completed Europe trip. And yes, I was incredulous. During the flight, as I sat in the back with my crewmates (the cockpit was fully occupied, as I recall) I pulled on my headset to listen in on the cockpit chatter. Unfortunately, I could not hear any outside radio - only intercom. As I remember, there was very little or no talk, except I do remember someone saying �Go around�, and the plane starting to climb. It felt like a very normal go around. I didn�t feel anything odd, no contact or anything, and nobody sitting with me did either. No one in the cockpit expressed any concern or seemed to have any idea we were in any kind of danger. There was no conversation about it at all - just routine cockpit talk as we climbed out and came around for a (successful) second approach and landing. After we landed, Ops sent out two crew busses, and, after thanking the crew for the ride, my crew jumped onto the first one, parked off the left wing of the aircraft, opposite the wing with the tree section, and headed off to our squadron and home. It was late, it was raining, we�d been gone for a week or more, we were tired, and we were ready to get home. The next day was a Sunday, and we could get some rest. I was astonished when, that following Monday, the first thing I was asked when I walked into the squadron was if I had heard about the C-141 that almost bought it. No indeed, I had not - tell me all about it. It didn�t take me long to realize that that was my flight they were talking about, and we were all very, very lucky to be alive! After reading John Attebury�s retelling of the episode, my foremost thought is �Thank you, John. You saved my life and every one else�s on that plane when you took the controls and went around. I did not know that part of the story until I read your comments just now." Amazingly, the disaster that doesn�t happen becomes with the passage of just an ever fainter memory and tall tale. I�ve had a long and great life, and despite having had a few other close calls during the course of it, I�m still here. But that particular flight on that miserable night was no doubt the closest I�ve ever come to not being here. And we didn�t even know it! On 18 September 1979 this aircraft was involved in an incident that resulted in the destruction of the aircraft. It is recounted below. The aircraft was on a local training mission. After several touch and go's, the crew noticed that the "Brakes Released" light did not come on after the gear was extended. The Dash-1, at the time, stated only that the crew should be careful when applying normal brakes. The crew flew a normal approach and landing. After touchdown, the spoilers opened only partly then closed. Only #4 Thrust Reverser would deploy. Normal brakes were inoperative. The instructor pilot attempted to control the aircraft and directed the copilot to select Emergency Brakes. The copilot did so and then continued to make multiple attempts to deploy the spoilers, depleting the #3 Hydraulic System pressure. With 4000 feet of runway remaining, the crew heard a loud bang. An electrical malfunction within the gear handle caused the nose gear to retract. The aircraft came to a stop 820 feet from the end of the runway and the crew evacuated. Fire consumed the aircraft. The actual malfunction was a short circuit within the Landing Gear Handle Relay. This caused the touchdown relay to stay in the flight mode, and gave the nose gear an up signal. Emergency Brakes failed when #3 Hydraulic System lost pressure due to the copilot's multiple attempts to deploy the spoilers. The thrust reversers did not deploy because they were locked out by the Touchdown Relay, which was still in the Flight Mode. The deployment of the #4 thrust reverser was a malfunction, without which the aircraft would likely have departed the end of the runway. The crew escaped without injury, but the aircraft was consumed by fire. The following are additional USAF photos and a few taken by George Miller. I've included some notes that George wrote on the back of one of the photos here. 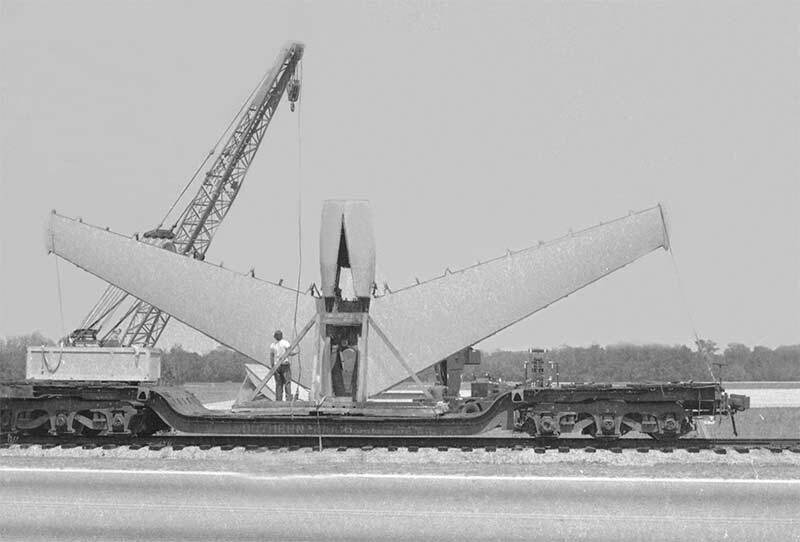 "647 was dismantled and parts returned to the Lockheed factory. 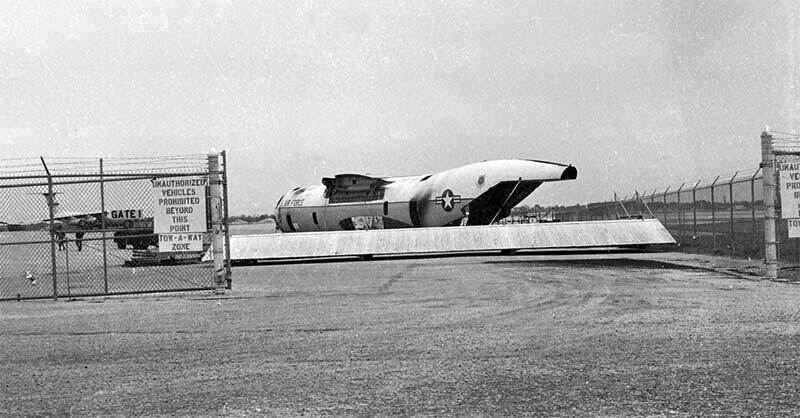 The fuselage was sent to the 78th Military Aerial Port Sqdn at Richards-Gebauer AFB , Missouri (Near Kansas City) to be used as a loading mockup. 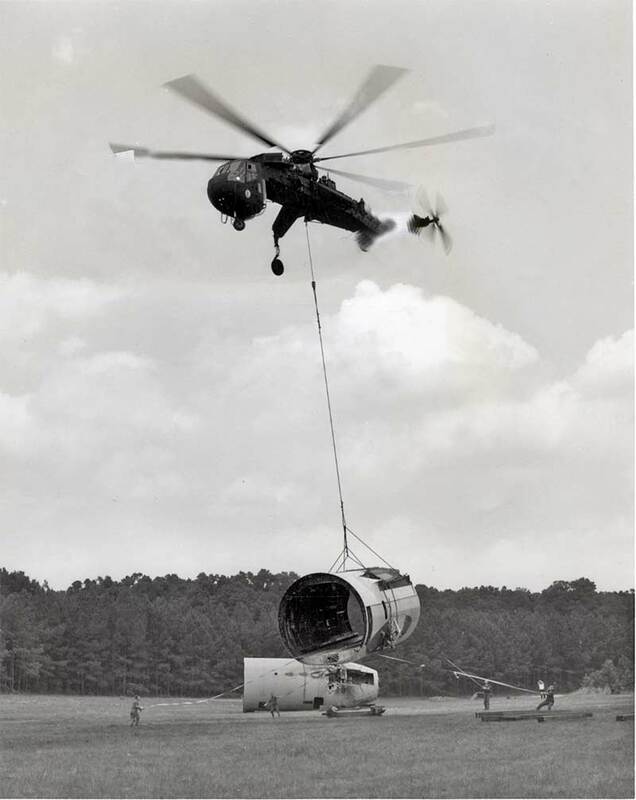 The fuselage was cut into sections and flown by army helicopter to the nearby Charleston water ports, where the three sections were put aboard trailer trucks. 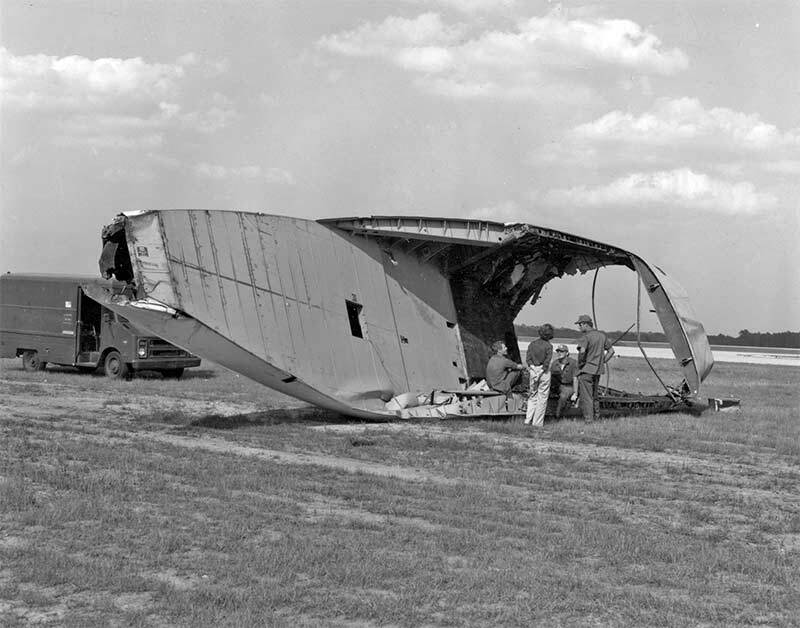 The tail section was dropped (see photo below for damage) and could not be used for the 78th purposes as the petal door is needed for a training aid. 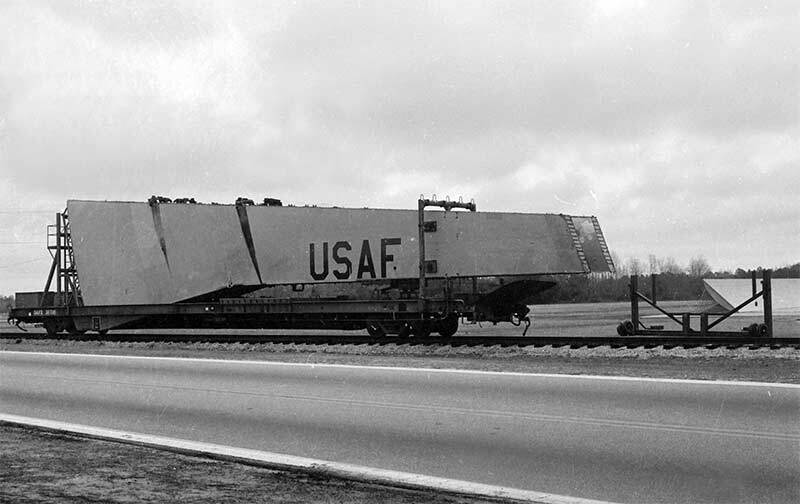 There are also a few pictures of the wing and tail on railroad cars before they left the base. It appears this is in the hanger following the fire. on it. I couldn't get it to go away so take it for what it is! Before it was dismantled into sections. of the fuselage) was taken. Tail is on a rail-car and ready to go. Notice the radome in the lower right corner of this photo as well. with a sticky label...it damaged the print. Whoops. This part of the tail was dropped from the chopper. Too bad we have no photo of THAT! Wings on a rail car, ready to roll. accommodate the wing shape near the front of the car. 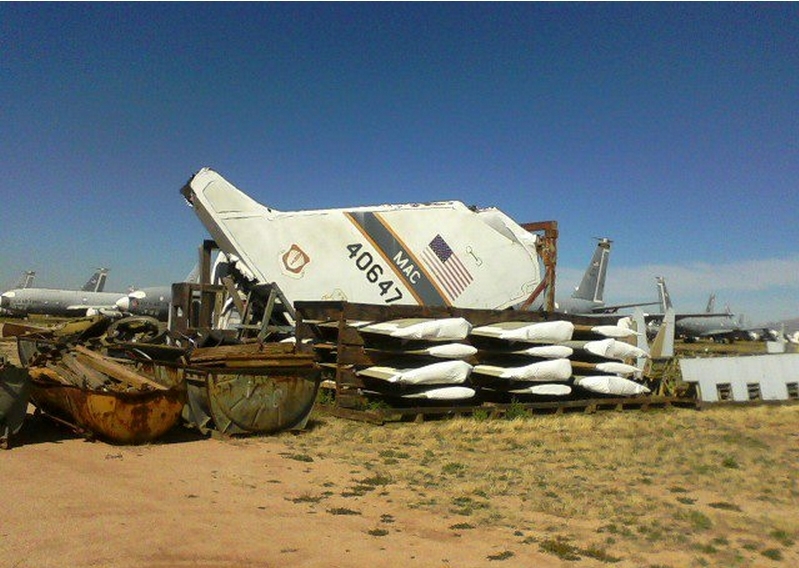 For some reason, it has survived all the of C-141 carnage, though I can't imagine why. Perhaps it's spring cleaning time at DM.